Swindon Stop the War Coalition's AGM. Time to elect the officers who will steer Swindon Stop the War through the coming year. 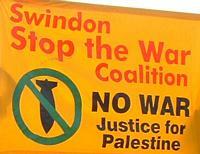 Swindon Stop the War Coalition's regular organising meeting. All welcome to plan the way forward.